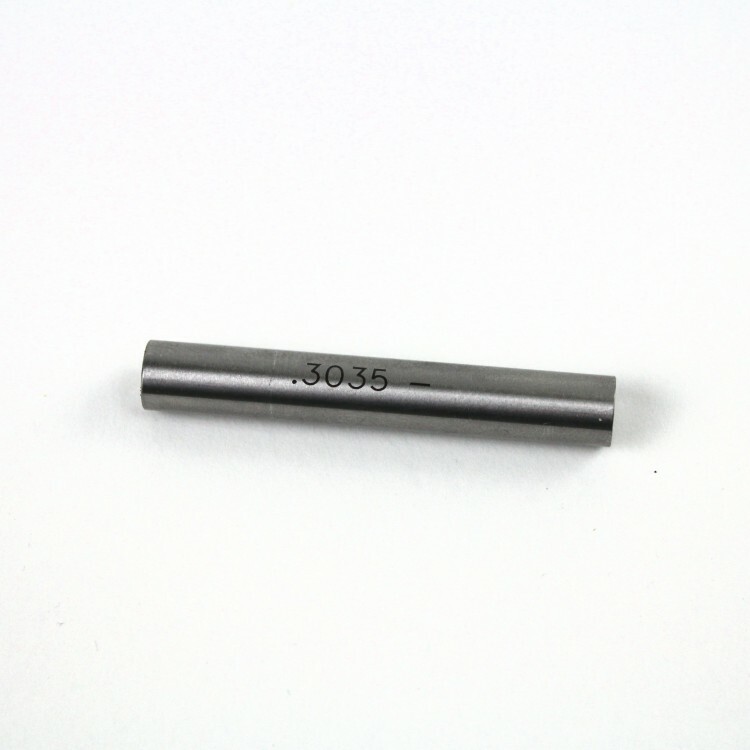 Each selection will include the corresponding gage pin. 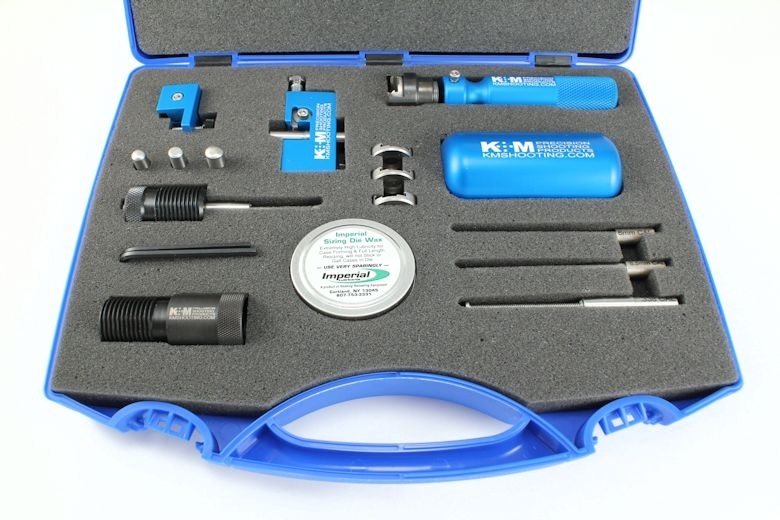 After selecting the caliber, select each bullet tension Expand Iron assembly desired for your kit. 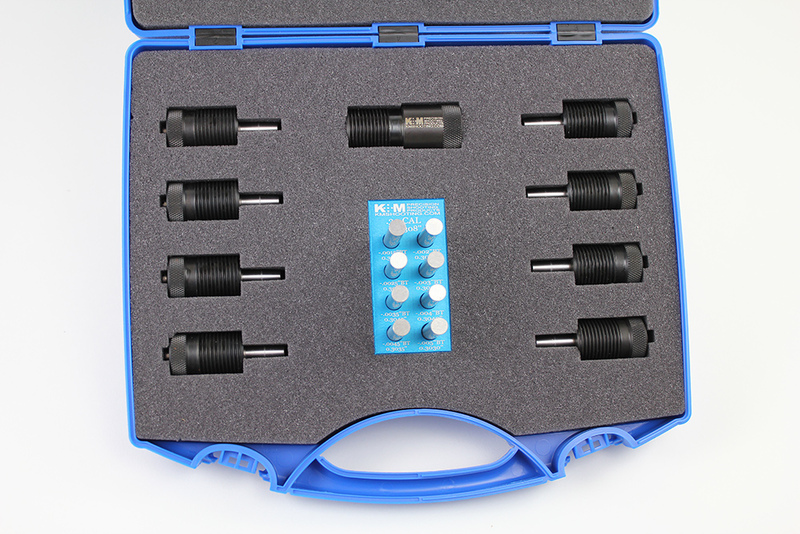 Each selection includes an Expand Iron assembly and the corresponding gage pin for that neck tension. 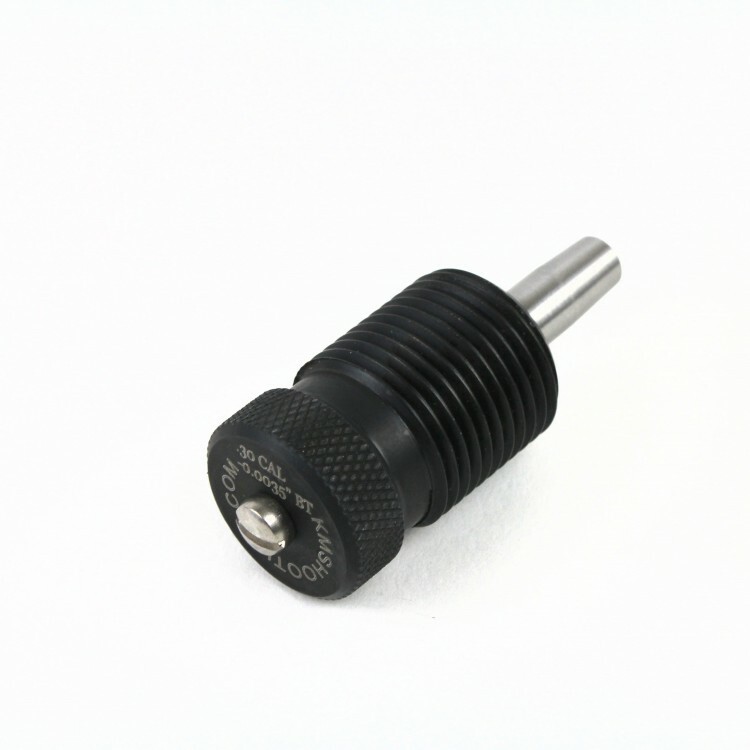 Both the expand mandrel and the press adapter will be laser etched with the caliber and the bullet tension for quick and easy identification. 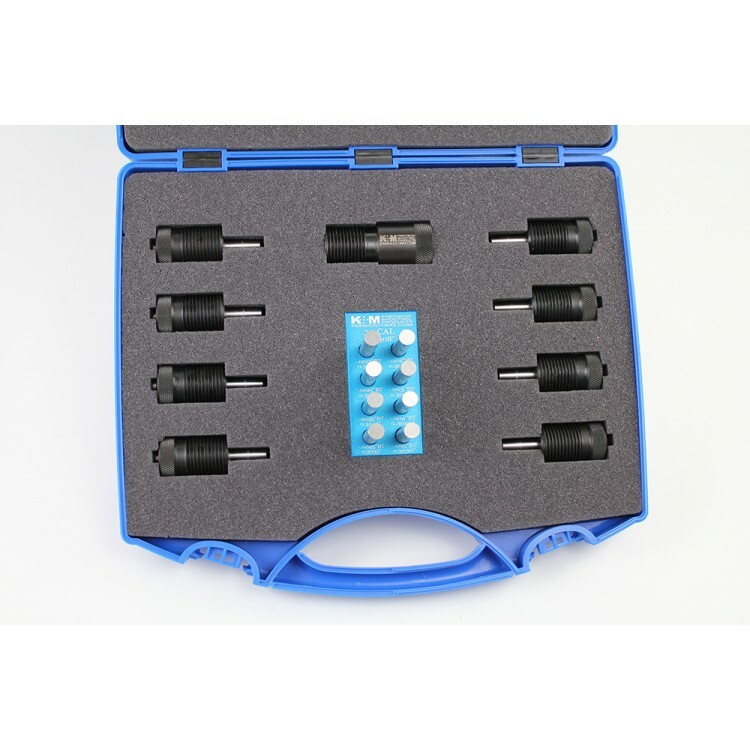 The gage pin block will be etched with the caliber and each gage pin location will be noted with the bullet tension and the diameter of the gage pin. All our expand mandrels are ground to account for spring back of brass which is assumed at the normal anneal. When using an expand mandrel to achieve final neck sizing bullet tension we find it best to size your neck 0.002” to 0.003” below your desired final bullet tension size. For example, say you are working with a 7mm caliber (0.284”) and you would like 0.004” of bullet tension. Subtract the 0.004” from the standard bullet diameter, 0.284”-0.004”=0.281”, this will be the final size after expanding however the neck inside diameter needs to be slightly smaller so the expand mandrel can properly size the brass. Now subtract the 0.002” or 0.003” from the final size, 0.281”-0.003”=0.278”. Now based on your neck wall thickness select the appropriate bushing that will achieve the 0.278” inside neck diameter. Once this sizing is complete perform the final sizing of the neck with the expand mandrel. Be sure to at least use a light lubricant. Alternatively, you can use a traditional full length die (expander ball removed) and use the expand mandrel for final sizing. After expanding use the corresponding gage pin to confirm the neck sized as expected. The feel you are looking for is a light drag on the gage pin. 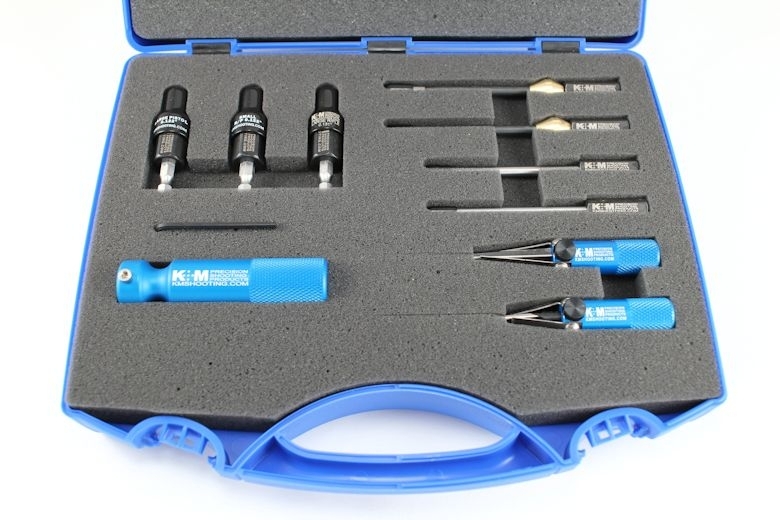 When sized properly the gage pin will act as a piston as you push the pin into the case neck while holding your finger or thumb over the primer pocket. You can actually feel the air compress inside the case. 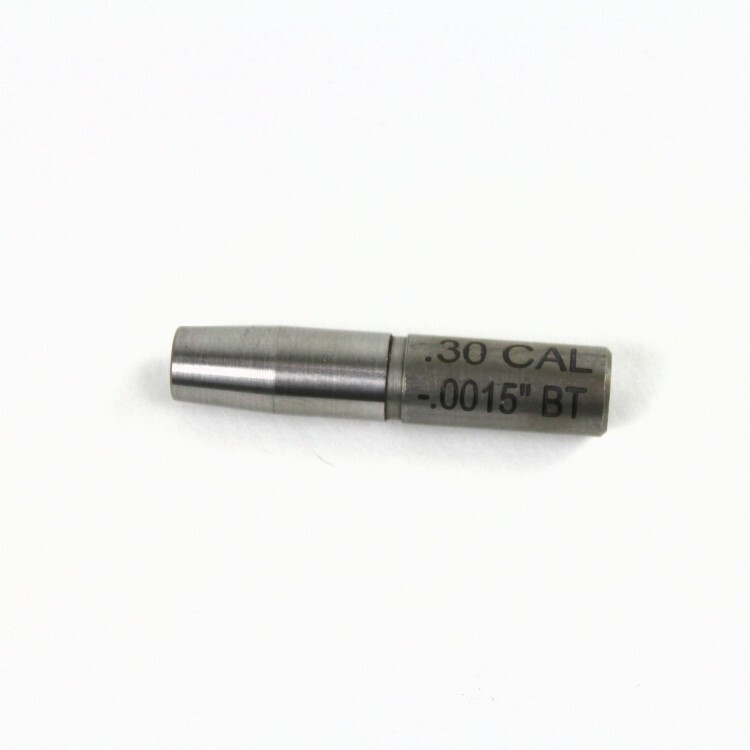 Quite often the brass can be harder or softer than expected and by stepping up or down on the expand mandrel bullet tension size you can achieve the desired neck tension to your pin gage. 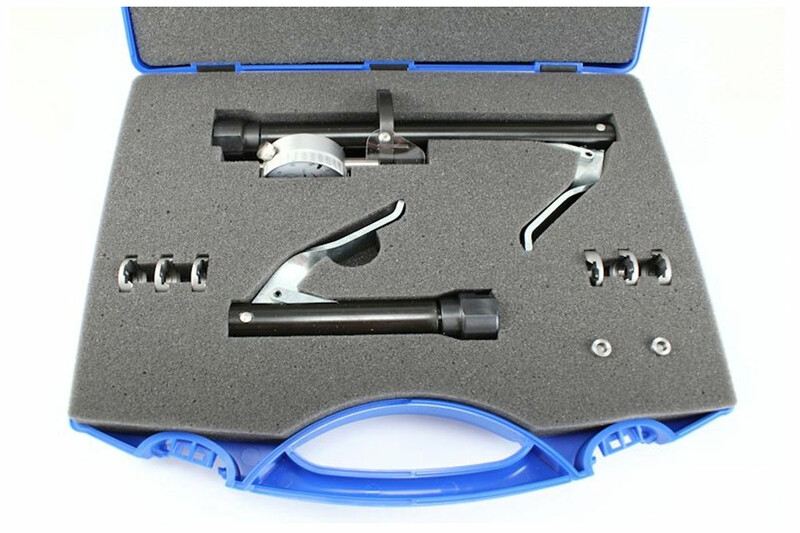 All of our expand mandrels for setting neck tension are to order so expect one to two week delivery.